Can Cell Switching Help Diabetes? Can Cell Switching Help Diabetes: Diabetes is a very tough health issue that millions of people around the world deal with every single day. Those who have diabetes know how disconcerting it is to have to stop mid-day and do a blood test. Diabetes takes a lot out of a person and when it is not treated; there are so many wrong things that can happen in the future from toe amputations to blindness. Based off records from the American Diabetes Association, “23.6 million children and adults in the United States, or 7.8% of the population have diabetes. An estimated 17.9 million have been diagnosed with diabetes and more than 5.7 million people do not even realize that they have diabetes. It is important no matter what promises or theories come into view that you make sure you continue to manage your diabetes. It is great that there are always medical advancements happening but there is no time frame to any of the new theories in medical advancements. Due the ever-changing results in medical advancements and research there is always something changing that helps give hope to those suffering from different illnesses. Now, scientists are reporting about early success in altering one kind of particular cell into another, which many help patients heal in the future. For example, if a person were to have a heart attack that damages the muscle tissue around the heart than some day in the future, doctors might be able to take other cells and make them become muscle tissue to help the heart pump. This is all futuristic and nothing is promised but theory is more than just an idea. 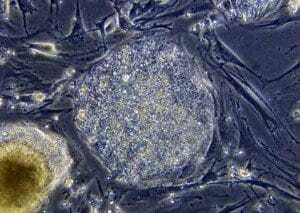 Many people believe that this is the very first step in stem-cell biology. It is pretty much fast-forwarding cell growth, which originally happens with injury healing. Stem cell research is helping in so many areas and so many illnesses are finding new cures that one day, even cancer might have a cure. Switching cells looks very prominent for the future and may give so many people much needed relief from everyday stress and wear/tear on their bodies due to diabetes and other illnesses. This entry was posted in Diabetes News on December 15, 2010 by admin.